Jerry Seinfeld has been the highest-paid comedian in the world for every year since 2006, except for 2016. (That year Kevin Hart edged him out.) Seinfeld has a net worth currently that is an astounding $950 million. However, even if he was far less wealthy, Seinfeld would never have to perform another stand up set, ride around in cars with other comics getting coffee, or develop another television show as long as he lives and he'd still make millions each and every year. THAT is the staying power of the beloved television show Seinfeld, which he created with Larry David. Reruns of the show about nothing make so much money in syndication, licensing deals, and DVD sales that Jerry Seinfeld could live off the never ending paychecks from that sitcom alone. Since ending its run in 1998, Seinfeld has made more than $3 billion. It is the most profitable half hour show in the history of television. At the height of the show's popularity, Seinfeld was making $1 million per episode (slightly more than $1.5 million today inflation adjusted). Jerry Seinfeld and Larry David split close to $400 million per year in syndication payouts. Never expect Jerry Seinfeld to sit back and relax and let the royalties roll in, however. The busy comedian keeps a full schedule of stand up gigs. He also has a $100 million deal with Netflix. He will make two stand up specials for the streaming service, 24 new episodes of Comedians in Cars Getting Coffee, and make that series' back catalog available on Netflix. It also includes a development deal for potential future series projects. Seinfeld took home tens of millions from Netflix this year. Hulu has the rights to the Seinfeld back catalog, so he also collects millions a year from that service. 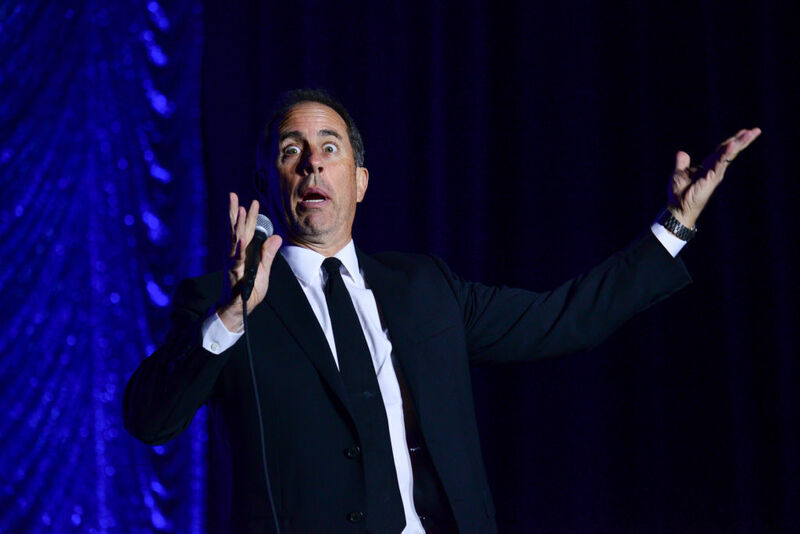 Over the past year, Jerry Seinfeld has made an astounding $57.5 million. That's enough to make him the highest-paid comedian in the world. Of that $57.5 million, $30 million of his earnings came from stand up. It only stands to reason that at some point, Seinfeld will stop resonating with audiences and the syndication money will trickle to nothing. However, with a net worth of $950 million, Seinfeld doesn't have to worry about losing that aspect of his paycheck. In fact, he is well on his way to being the first billionaire comedian in the world. Does anyone want to take bets on when that will happen? Kevin Hart is now the highest paid comedian on the planet by a mile. How exactly did he earn the top spot? And how much did he actually make? I've said it before and I'll say it again. Being a movie star is the easiest way to make A TON of money in the world. Don't believe me? Just ask Kevin Hart.